We have established an advanced infrastructure that comprises the modern customization tools and testing equipment in order to provide our clients an optimum quality gamut of products. Our adept specialists, skilled engineers, efficient work force and matchless resources enable us to serve the demands of various sectors with quality solutions. Also, our adept team of quality analysts examines the complete offered gamut on certain parameters to ensure that every product complies with the international standards of quality. With the assistance of our hi-tech production unit, we are able to optimally satisfy the bulk and urgent requirements of our clients in timely manner. Our company is constantly progressing under the leadership of our mentor "Mr. Sandeep Maheshwari", who has always encouraged new ideas of manufacturing to offer better quality of products to our clients. Being highly experienced in this domain, he is the ultimate source of inspiration for our team. 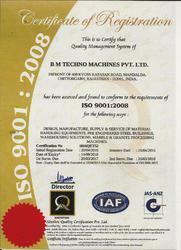 Manufacturing, Trading , Importer and Exporter of Marble, Granite Processing Machines, Galvalume Sheets etc. Due to the support of our team, we have established ourselves as an eminent name in this sphere. Our highly qualified professionals are familiar with all the industry standards and ensure that the production process complies with the same. They utilize their vast years of experience and specialization to enhance the productivity as well as quality standards of the offered assortment. In addition, we organize regular training sessions and workshops for our professionals in order to improve their understanding and knowledge. We are backed with an advanced and sophisticated infrastructural facility that is spread over a 1, 25,000 Sq Ft of land. It is fitted with all the requisite facilities that empower us to carry out our entire activities in an organized and timely manner meeting the bulk and urgent orders of our clients. Moreover, our infrastructural base is segregated into varied sub-functional units that are well-equipped with all ultra modern machines and tools improving the rate of production and quality of products. Our well-developed laboratory and production unit are supervised by team of highly qualified professionals developing the offered range in adherence to industry set regulations. 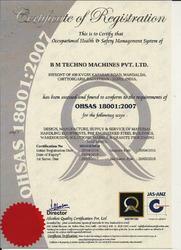 We are committed towards quality and provide clients superior products. 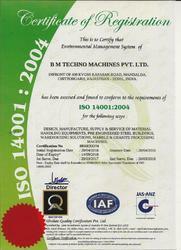 Each of the products is well tested to ensure its compliance with international standards. Technically qualified inspection team stringently tests the products on parameters like dimensional accuracy, performance, power utilization and many more. Further, our professionals also ensure that the procured product from vendor is of high quality so that no defective consignments are delivered to clients. We always want to deliver our valued clients with the cost efficient and smart products that are capable of providing the full support in their processes. We are recognized in the industry as one of the noteworthy entities due to our qualitative assortment of Industrial Equipments. To be a renowned company globally known through innovation & excellence in the industry. Innovating Solutions for Pre Engineered Buildings ,Material Handling Equipment’s ,Warehousing Marble & Granite Processing .